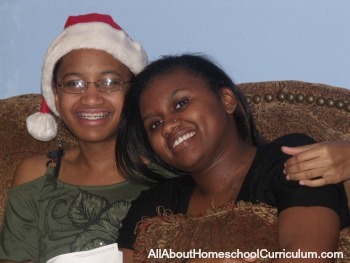 Sometimes, it can be difficult to find homeschool Christmas ideas that are creative and affordable. Well, let me share a few here that may be of interest to you or may spark other ideas for you and your family besides the obligatory worksheet or coloring pages. I think many families already know about caroling during the holidays, right? But, what if you "put a spin on it" and add something new to it? For example, you could suggest that your family try singing Karaoke of some of your favorite Christmas music. Another "spin" would be to play a game where others have to guess the Christmas carol after hearing just the first part or a small segment of the song. It would be sort of like the "Name that Tune" game show from many years ago. Many people enjoy playing games so you could play "Musical Chairs" to Christmas carols. Have someone stop the music at certain points as the participants try to sit in a seat. Remove a chair and the person who doesn't reach a chair when the music stops. Then, award small prizes for the last person left standing. Another favorite you might enjoy is singing "The Twelve Days of Christmas" in a group. It can be a challenge sometimes for folks to remember which "day" of the song they need to come in on, though. But, it can still be lots of fun. Holidays seem to dictate eating food and lots of it and Christmas is certainly no exception to that rule. Organize a cookie or candy swap for your relatives, friends or both. Encourage the attendees to print out the recipe for their treats and provide them for the guests. Determine whether tasting will occur during the event or if the swap will happen at the end just as the guests prepare to leave. The hostess could have coffee, hot cider, tea or hot chocolate available with other snacks. Also, make sure to have plenty of Ziploc bags or foil so guests can take food home. Decorate Gingerbread people or houses and have a contest where the best one earns a prize or special treat. You can provide all the toppings or ask the attendees to help out with contributions, too. It can be so much fun when sharing Christmas memories with family and friends. Recently, I attended a workshop and we were asked to share a favorite childhood memory surrounding the Christmas holiday. Even the most timid people in the group were laughing loudly and slapping others as we shared humorous and heart-warming memories from our childhood. I shared about the time my parents purchased my only brother Robert, the hottest toy for boys that year – a Mattel Hot Wheels set! I can still remember how much fun my dad had "helping" my brother put that racing set together with its bright orange tracks and loops. I think the two of them played cars together in their bathrobes until it was time for Christmas dinner that afternoon. Priceless! Holiday gatherings are a time for fellowship, food, and fun with those in our lives we love and care about most. However you decide to spend the holidays, remember to enjoy yourself and enjoy your children while the time is there.